At MinterEllison, our people are our brand. Every day, every person in our firm plays a vital role in helping clients to close deals, find solutions, resolve disputes, grasp opportunities and create value. We are a friendly and supportive firm that takes pride in our work, our individual and collective achievements, our clients' success, and our strong reputation in the marketplace. At MinterEllison, we are continuously looking at ways that we can improve our efficiencies and work flow practices. As such, we currently have a position for a Best Practice Consultant to work in our Streamline team, who are focused on developing and implementing best practice stream work systems. The role can be performed on either a full-time or part-time basis (minimum 3 days per week), depending on the successful candidate's preference. The successful candidate will work with both the Streamline team and broader legal teams to deliver technology and precedent solutions tailored to specific client needs. It is anticipated that some degree of interaction with clients will be required. However, this is not a fee earning position and it is not anticipated that the role would involve performing any client related legal work, outside the scope of the delivery of the project. pre-implementation training for legal teams as well as post-implementation support. resilience and a commitment to excellence that matches our own. This role would suit a senior Property Lawyer but a law degree is not essential. In addition to the technical capabilities, we are also looking for someone who is an innovative thinker, has strong people skills, is self-motivated and results driven. 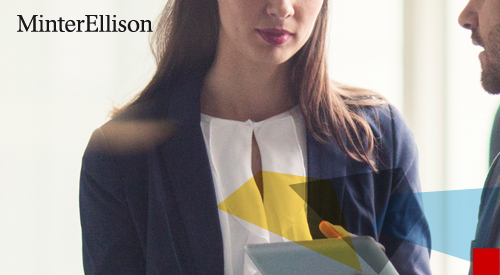 At MinterEllison we have a working culture that is second to none, our employees work in a collegiate environment that is team orientated and focused on producing outstanding results and solutions for our clients. extensive health and wellbeing programs. MinterEllison is proud of its investment in the community and all employees are welcome to become involved with our pro bono schemes. We prefer to deal with you directly, so please submit your CV, cover letter and academic transcripts for consideration by clicking on the 'Apply' button below. If you would like further information, please contact Lisa Fleming at lisa.fleming@minterellison.com.